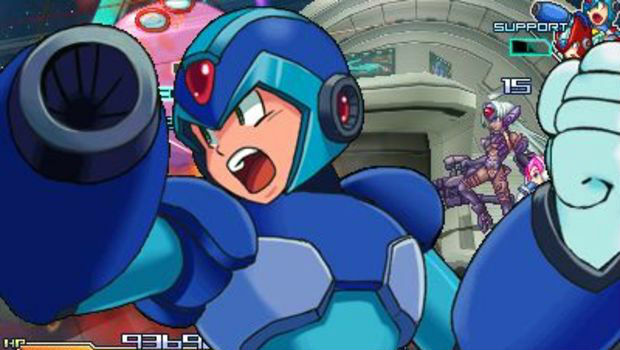 While fans all over the world would love nothing more than for Capcom to continue the development of Mega Man Legends 3, the tenacious Facebook group 100,000 Strong For Bringing Back Mega Man Legends 3 have decided to take matters into their own hands. 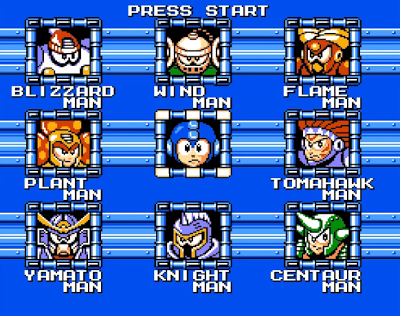 In collaboration with Japanese community DASH 3 Reboot, 100,000 Strong will remake the ill-fated Prototype Version in the visual style of the 8-bit Mega Man games. Joining them in their efforts are two big-name Mega Man staff members. The first is Hideki Ishikawa; former Capcom character designer and illustrator. He will be handling the game's box art. 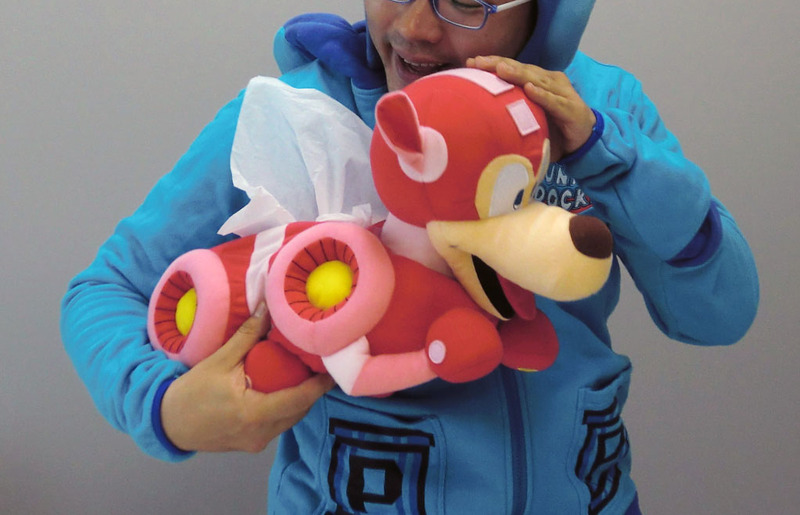 The other is Makoto Tomozawa, the main music composer for the Mega Man Legends series. He will be composing a few tracks exclusive to this project. 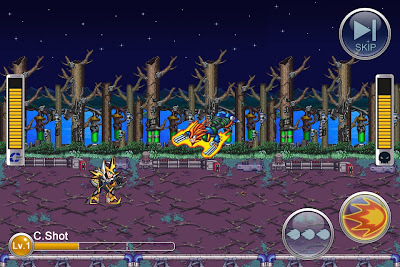 The trailer above shows off a work-in-progress version. For the game to reach completion, however, a bit of funding is necessary. If you'd like to contribute to the cause, then you can PayPal whatever you’re willing to chip in to milktea(at)milcoco.net. Everyone who contributes, regardless of how much, will recieve a digital copy of the game when it's completed. Donating $50 USD or more nabs you a physical copy as well as your name in the credits. The faster the donation goal is reached, the sooner the game will launch. They're hoping to have it up some time or around August. A playable demo will on-hand to download in the coming weeks. Following the announcement of exclusive promotional cards, Capcom has unleashed World 8 upon Rockman Xover. This one is themed after Rockman 7, where you'll go up against the likes of Slash Man, Spring Man, Junk Man and Shade Man. The final boss is none other than Bass. Further, we've got a new form: OVER-9. We saw this guy a few days ago; electricity is his forte, strong against water and ice. That's pretty much all there is to it. 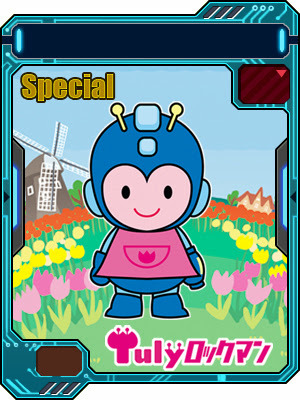 There's some new regarding a special campaign for the Android version of the game and... an opportunity to score a Battle Memory card featuring Tron Bonne. In a bikini. Read on for the details. This July, the Capcom Summer Festival will be held at the Huis Ten Bosch theme park in Japan. 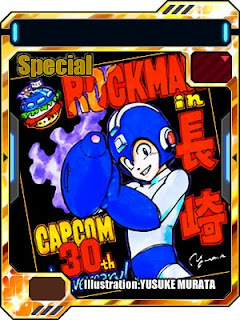 Among the festivities, visitors can grab two exclusive Rockman Xover Battle Memory cards. 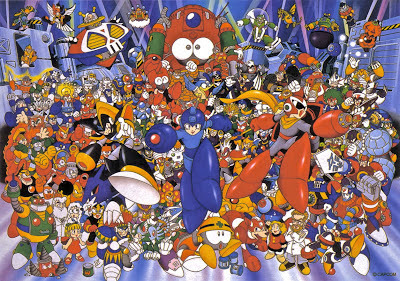 The first is drawn by Yusuke Murata (shown left). 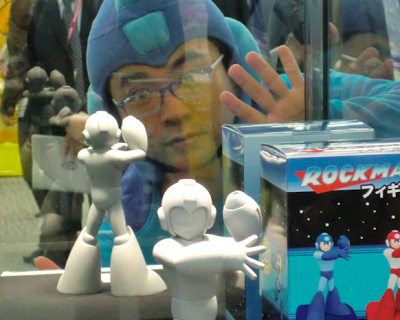 Before becoming an acclaimed manga artist, Murata designed Dust Man and Crystal Man as a child. The second card, featuring the park's mascot Tulip chan, is on the right. Both cards will be distributed via serial codes on a first come, first-served basis. The Capcom Summer Festival runs from July 13th to September 2nd. 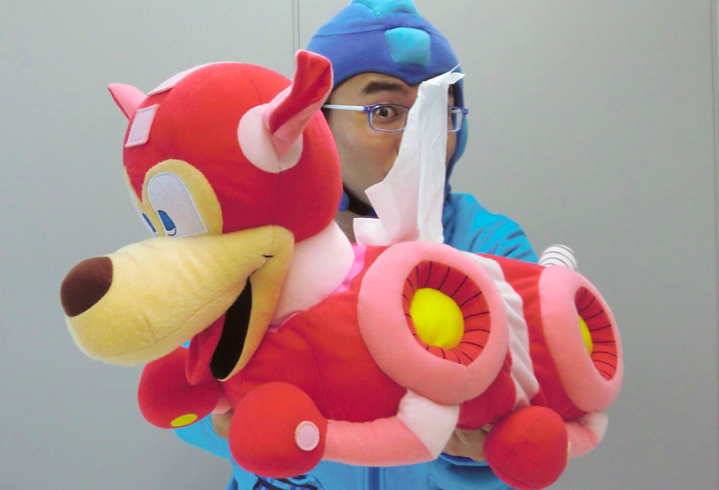 The event will play host to a number of exhibits and movie screenings of Capcom's popular works. If you're in the Nagasaki Prefecture for the summer, you might want to check it out. More information can be found here. So this completely flew under our radar. 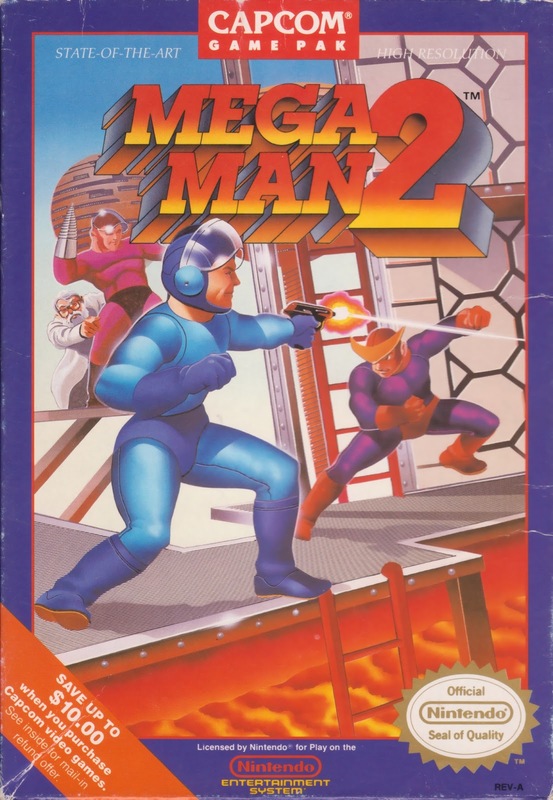 Back in October 2012, Nintendo Age conducted a short interview with Marc Ericksen, the illustrator behind the now iconic Mega Man 2 box art. 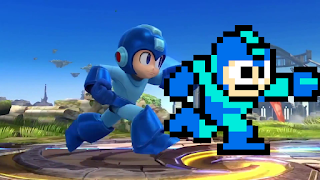 At the 3:00 mark, he finally spills the beans on the age-old question: why in the world does Mega Man have a pistol? If you can spare a few minutes, it's well worth the watch. If you can't view the video, you'll find my attempt at a transcription after the jump. Check it out! The North American release of Project X Zone has finally come. Yesterday, that is. I'm running a little late on this heads up (thank you TMMN for the reminder), but now you know in case you didn't know! Meanwhile, our friends in Europe will have the game on July 5th. Won't be too long now! Speaking of Europe, tomorrow's June 27th Nintendo 3DS eShop update adds a second demo called "Dark Hours." This one features X and Zero. Word has it North America will also get the demo, but there's been no information as to when, though it could be tomorrow too. We'll keep an ear out. In celebration of their 30th anniversary, Capcom of Japan is teaming up with social blogging service Ameba Pigg for some special Capcom themed avatar goods. 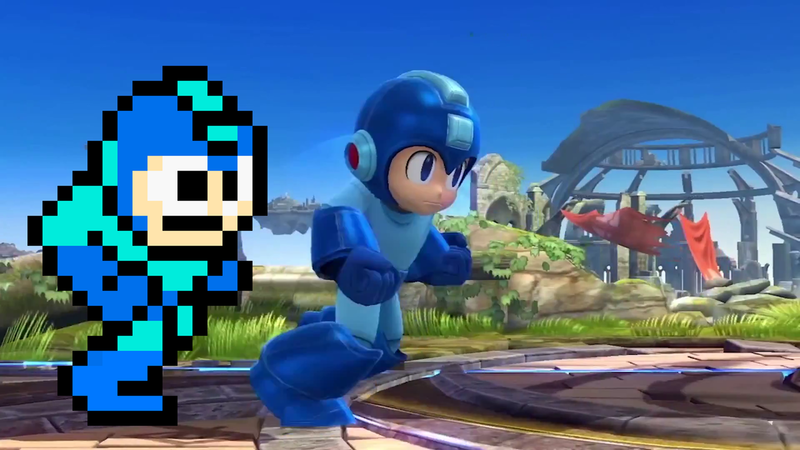 This includes outfits based on Mega Man, Jill Valentine and Dante (among others). 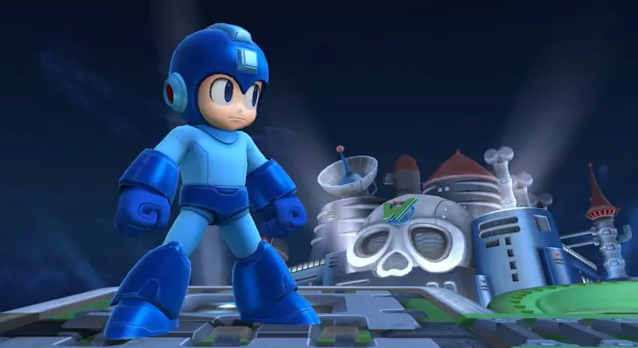 The Mega Man duds will run for a total 230 CandyG (an odd choice of currency). These cute virtual trinkets will be available at "Capcom Plaza" for a limited time. Beyond admiring the pictures, there's little fans outside of Japan can do to take advantage of this promotion. Ameba has expressed some interest in brining the service abroad, but I doubt the promo will still be going by then. Yep, Bandai's long awaited D-Arts Forte (that's Bass to us) is now shipping. If you happened to import, your figure should be on the way soon. 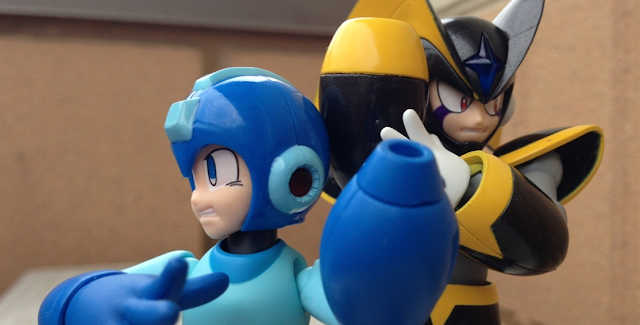 In the meantime, you can treat yourself to numerous photos of fans showing off their Forte figures in-hand. There's plenty to see after the break! You asked for it, you got it. 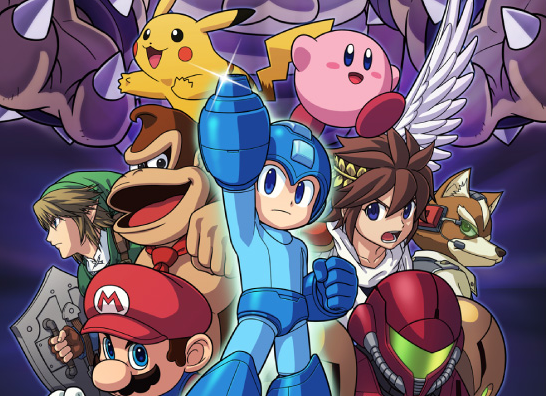 MegaPhilX is proud to announce the release date for Mega Man PC fan game, Mega Man Unlimited: July 14th, 2013. 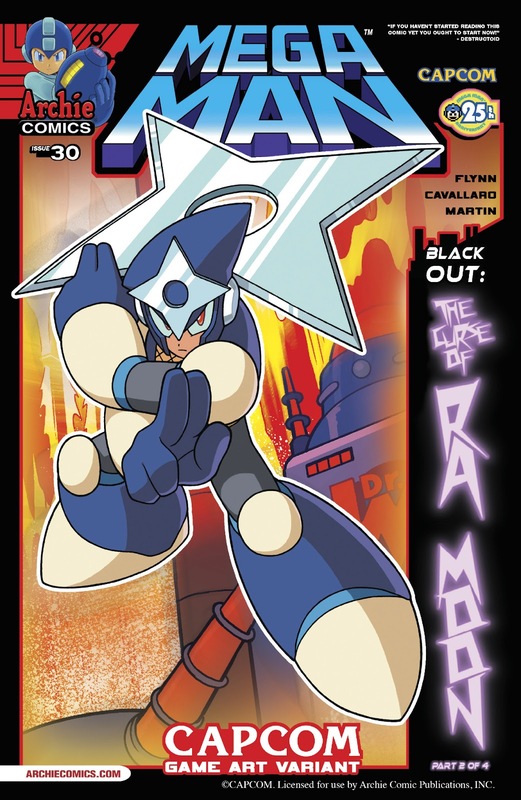 You'll be able to download it for free in a few weeks straight from MegaPhilX's website. Look forward to it! Four months in the making, and it's finally upon us. Facebook group 100,000 Strong for Bringing Back Mega Man Legends 3 is proud to present this ten minute short film capturing the succesful rocket launch held back in February. It's truly a fantastic look at all the hard work and passion that went into this project. Mad props to everyone who made this happen! Thanks to Skybane Zero-x for the tip! At the San Diego Comic-Con in July, Archie Comics will be selling a special event-exclusive variant of Mega Man #24 (first issue of the "Worlds Collide" arc). 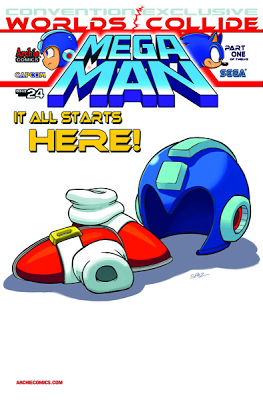 It's a simple little cover with Sonic's buckled shoes and Mega Man's helmet. Certainly an interesting change of pace from the usual dramatic poses. The issue will run you a cool $10. Copies are limited so grab it when you can! 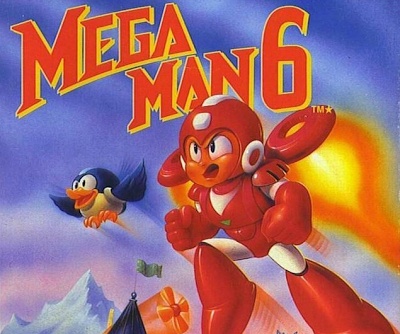 As anticipated, Mega Man 6 hit the Nintendo 3DS eShop today, thus completing the NES saga on the Nintendo 3DS. It will run you $4.99. 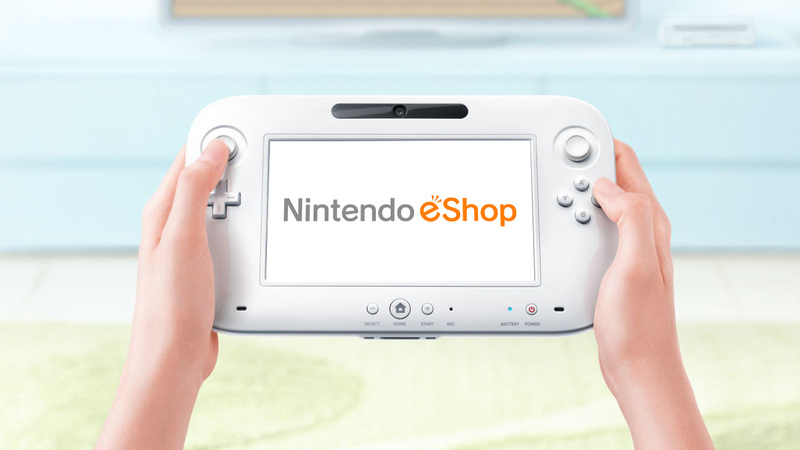 No word on what will become of Virtual Console releases from here. Personally, I'm hoping we'll see the Game Boy titles start up again. 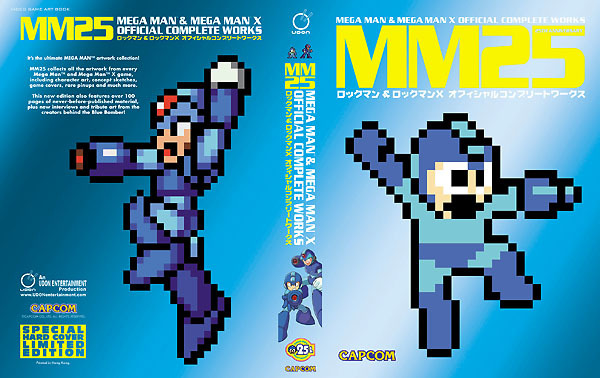 Capcom Unity also sends word the complete Mega Man 6 soundtrack will up on the Capcom Store shortly. The official soundtrack contains the original NES tunes plus the PlayStation Complete Works arrangements. Rockman Unity is teasing yet another update for Rockman Xover. 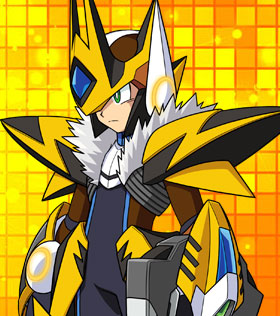 This one will introduce OVER-9, an electric themed form, and possibly a new world. Further, the Collection feature will see an update. In short, it's a database that keeps track of every card you possess, organized by series. Sounds like something that should have been available from the get-go! Nintendo has created a product page for Mega Man 6's Nintendo 3DS Virtual Console release. It's listed to launch on the eShop this Thursday, June 20th for $3.99 US. However, as noted on GoNintendo, there's been instances where games were incorrectly dated on the site, and would end up coming out a week or two later. Oops. Pending official word from Nintendo (via press release), I suppose we'll just have to wait and see what Thursday will bring. Thanks to Robdog511 for the tip! Smash Bros.: What Happens When Kirby Eats Mega Man? "A lot of what you're asking is still classified," he told us through an interpreter at E3. "As far as the physical appearance of Kirby," he said, "I think what you imagine is probably pretty close to what will actually happen." Sakurai put his hands next to his head, in what we're pretty sure was the international sign for "Mega Man's helmet." We followed up by asking if Kirby would be gifted with a Mega Buster. "He's got little tiny arms, so who knows." Traditionally, Kirby acquires an opponent's neutral B move. It's largely speculated Mega Man's neutral B is Metal Blade. 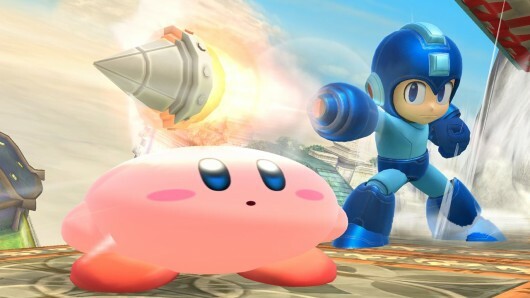 But because Metal Blade can be used in eight directions, it remains to be seen how Kirby can pull that off with just button combinations. We have plenty of time to speculate so... have at it. PlatinumFungi's much hyped, gorgeous backlit Mega Man 25th anniversary NES has arrived on the auction block. 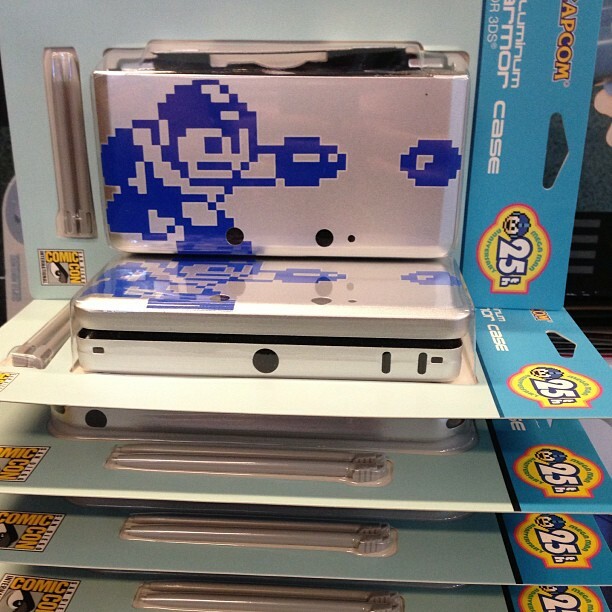 It's not only a snazzy work of art but also a fully functional console. If you've got the Zenny (and I mean the Zenny), try your hand at the reserve-free eBay auction here. For the uninitiated, click here to see the light show in action. Best of luck, eager bidders! 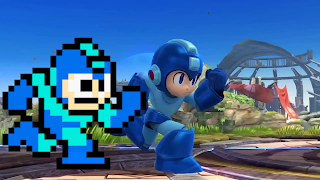 Here's a fun side-by-side comparison showing off just how spot-on the latest Super Smash Bros. recreates Mega Man's original NES incarnation. To quote Masahiro Sakurai, "maintaining his NES look was a top priority." I think they've done a solid job so far, wouldn't you agree? The resemblance is pretty striking. You can see more side-by-sides over on the Seagulls and Shrooms Tumblr. Many thanks to Eric and Shin for the tip! 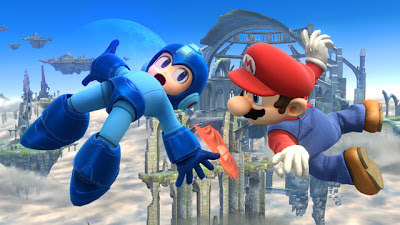 Masahiro Sakurai has taken to YouTube to discuss additional details for Super Smash Bros. for Wii U and Nintendo 3DS. 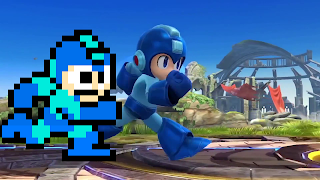 Skip to 3:48 where Sakurai outlines Mega Man's mechanics; his variable weapons system, special attacks and so forth. 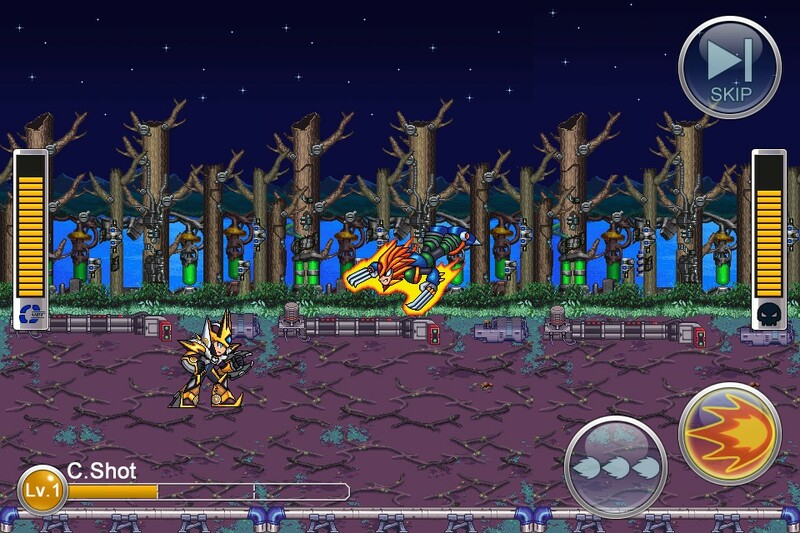 We also get a great look at Dr. Wily's stage. Check it out if you're hankering for more footage of the blue guy in action! 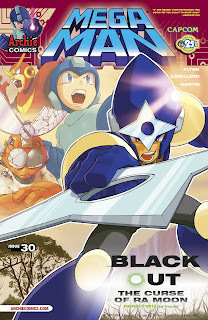 New info on the 30th issue of Archie's Mega Man comic book is here. The covers shine the spotlight on Shadow Man as part of the upcoming “Blackout: The Curse of Ra Moon” story arc. Spaziante's art (left) is really something, isn't? 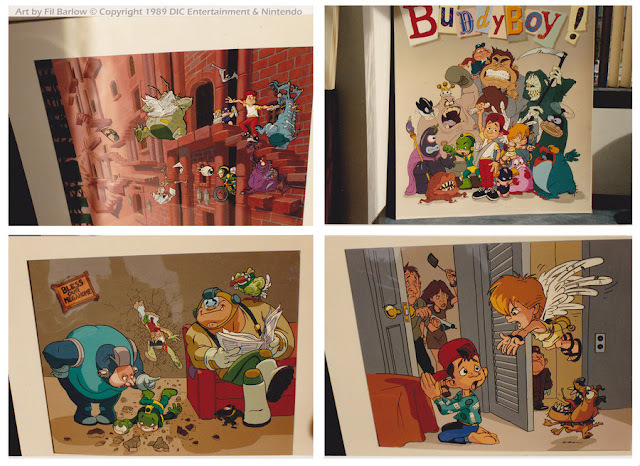 Side by side, you can really tell just how much influence Ishikawa's style had over Spaziante's work. Read on for the complete solicitation! Yes, Rockman Xover stinks. I am, however, partial to one redeeming quality: its music. The new tunes composed specifically for the game are pretty rocking! 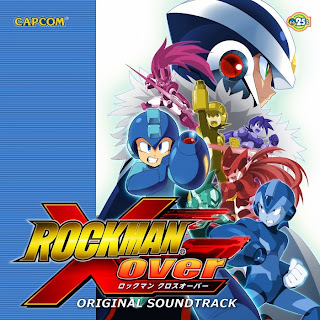 So if you're a fan of that aspect, you'll be pleased to know Capcom has just released Xover's original soundtrack for free. It's six songs long and includes an exclusive piano arrangement of the game's theme song. To download, hit up the Capcom sound team's official website. Scroll down a bit and click on the links below the "Review" headline. You didn't forget what today is, did you? 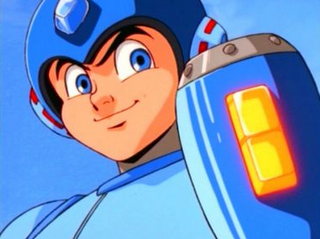 It's another Rockman Day! 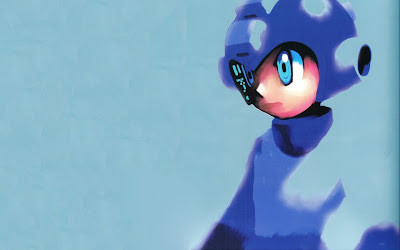 The fourth annual Rockman Day, in fact. If you're new to the tradition, you should brush up on your history here. Admittedly, it's a pretty quiet holiday this year. I haven't seen any mention of live streams, fan-art, or other miscellaneous festivities among English and Japanese circles. Capcom Japan usually passively acknowledges it... but not this year. That's not to so say you aren't celebrating the day in your own special way. 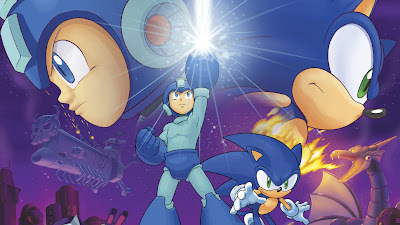 I, for one, will make it a goal to finally beat Mega Man's side of Mega Man & Bass. I swear, the game was not designed for him. Animal Crossing: New Leaf is launching in North America tomorrow. 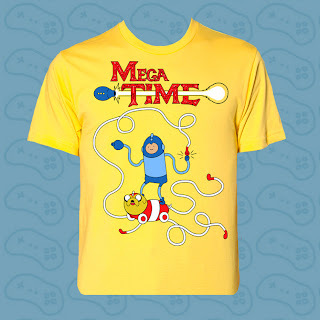 So for those of you intending to pick it up, Pixiv has a fine collection of custom Mega Man designs up for grabs. 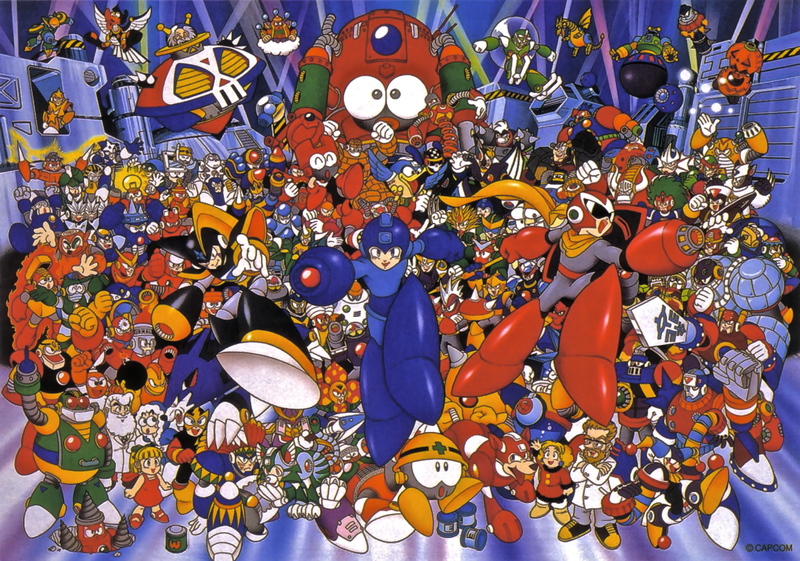 There's Tron Bonne, Mega Man.EXE, and even Mr. Famous, just to name a few. Click here to check out the whole lot. 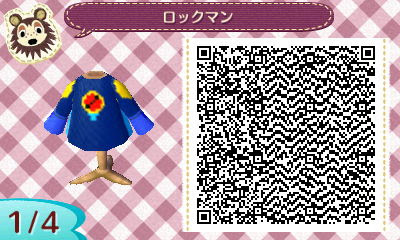 New Leaf's QR code functionality lets players share their in-game designs with ease. 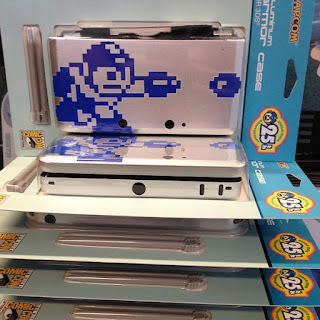 Simply scan a design's accompanying QR code with your Nintendo 3DS and you're good to go. There's no region restrictions, so you're free to scan whatever you want no matter where you live. If you'd like, you're more than welcome to share your creations here in the comments. 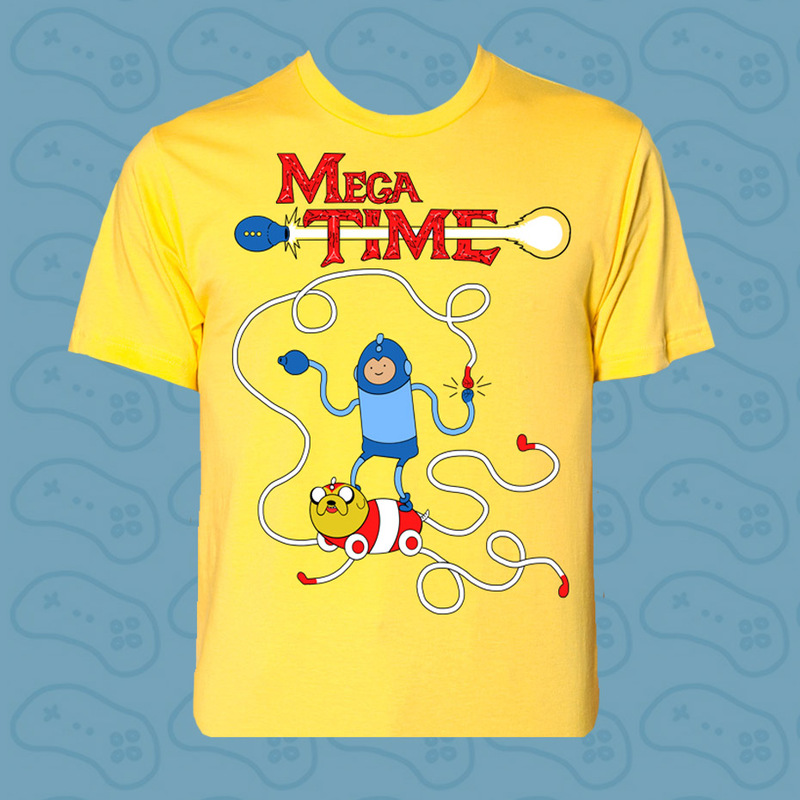 There's some real potential out there for some crazy cool Mega Man designs! 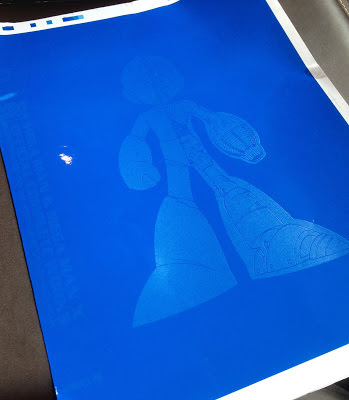 Over on Rockman Unity, Ucchy brings us a closer look at some of the new Rockman goods coming from System Service. Currently available to preorder from Big Bad Toystore, these items will actually populate game centers, crane games and gashapon machines across Japan later this fall. You can see more pictures of each item at Rockman Unity. Most of the figures are still in the prototype phase, so expect quite a lot of grey. "Full of facts, statistics, and historical information, the Capcom 30th Anniversary Character Encyclopedia will offer any fan of Capcom's illustrious library of video games insight and background for all of their favorite characters and video game series. The Capcom 30th Anniversary Character Encyclopedia celebrates Capcom's 30 years in the industry and gives fans concise information about every major Capcom character, their key artwork, statistics, background information, and interesting notes on the history of each character and game franchise. Including almost 200 characters from the Capcom family, this Character Encyclopedia sheds new light on these characters in a way nothing else does!" Surprisingly, the book is not being handled by UDON Entertainment. Rather, Brady Games; a subsidiary of DK Publishing (makers of some mighty fine encyclopedias). 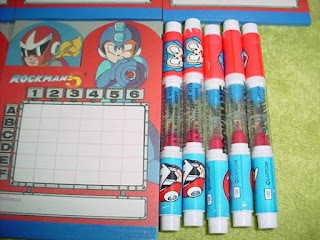 There's bound to be plenty of Mega Man content within, so this is definetly a product we will be keeping tabs on. You can preorder your copy right now for $12.65 (normally $16.99). Smooth McGroove, the one-man a cappella star with the majestic beard, is back. 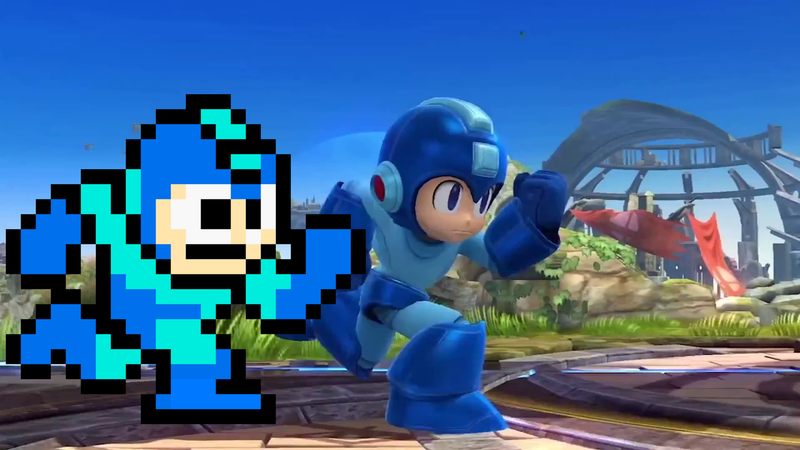 This time he's covered Mega Man 3's Dr. Wily Stage 3 theme. Listen at your own risk, please. His arrangements are known for making hearts explode out of sheer delight and ecstasy. If you're still in one piece, go check him out on YouTube. Thanks for the tip, DocLithius! This one's been swarming my inbox all day so I felt the need to provide some closure. A list of games allegedly poised to debut at E3 next week popped up online. It includes Dead Rising 3, Killer Instinct, Banjo Kazooie 4, Marvel Vs. Capcom 4, Darkstalkers Reborn and a "next-generation" Mega Man, among others. 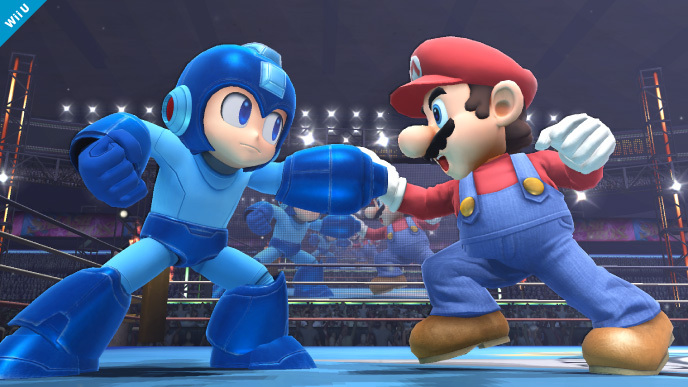 Rule of thumb, friends: If a leaked E3 list sounds more like a wish list, it probably is. Fabrications like these have stolen our attention for many years because it's so easy to project one's own desires. A new, next-gen Mega Man is a terribly easy target. The full list is after the break. Hit the jump and let's debunk this. Here’s a neat piece of merchandise I’ve not come across before. 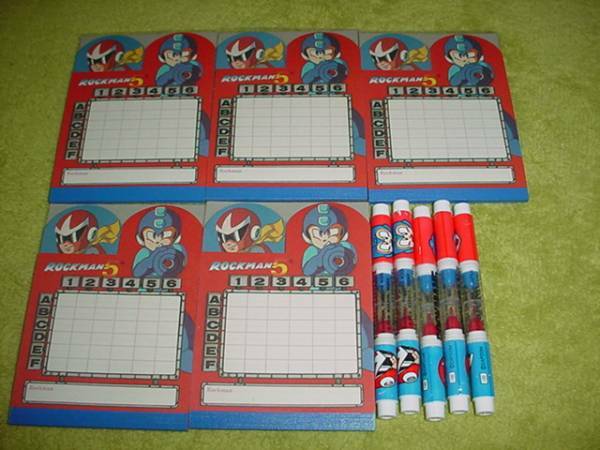 This is a Rockman 5 password kit, released back in 1992. It's a batch of memo pads designed specifically to remember your Rockman 5 passwords. 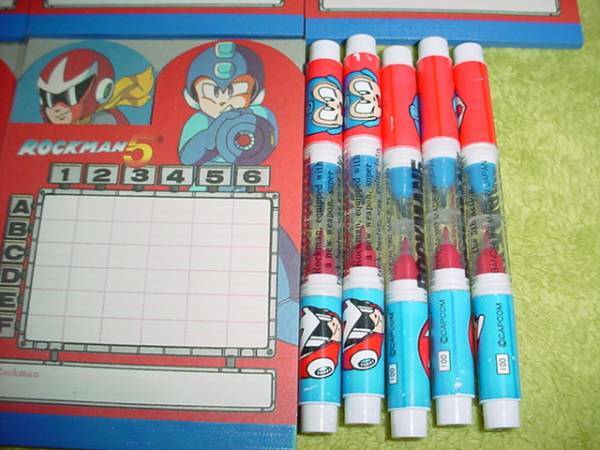 Each pad is accompanied with cute Rockman and Blues markers, used to copy down the color dots from your game. Pretty cool, if I do say so myself. 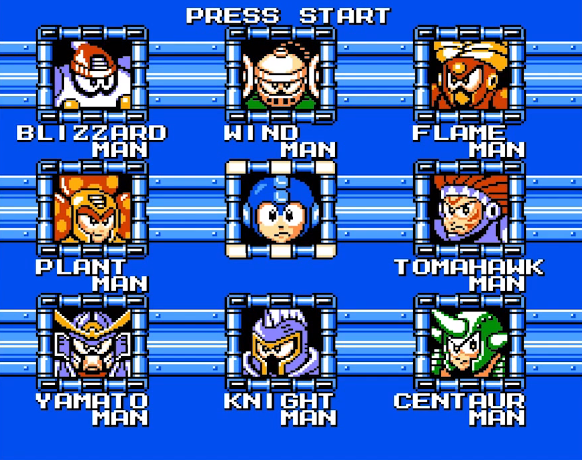 I never particularly enjoyed recording Mega Man 5 (or Mega Man 3) passwords. Jot a password on paper incorrectly — failing to note which color went where — resulted in quite a few headaches. I can see why something like this would be useful. Right now the set is being auctioned off on Yahoo Auctions for a measly 1,000 Yen (roughly $9.93 US). A great value if you're looking to add a quirky, but unique piece of merchandise to your collection.